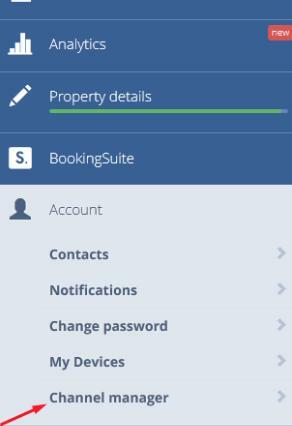 To manage Booking.com through the Channel Manager Octorate, you should request the connection through the extranet portal. Click on the following link to access your Booking.com profile. 1) In the case of the older extranet, the request must be made by clicking on "Property Info." In the list that pops up on your left, click on the line "Channel Manager"
2) In the case of the latest extranet, the request must be made by clicking on ACCOUNT > CHANNEL MANAGER. In the menu "Select provider" enter Octorate. 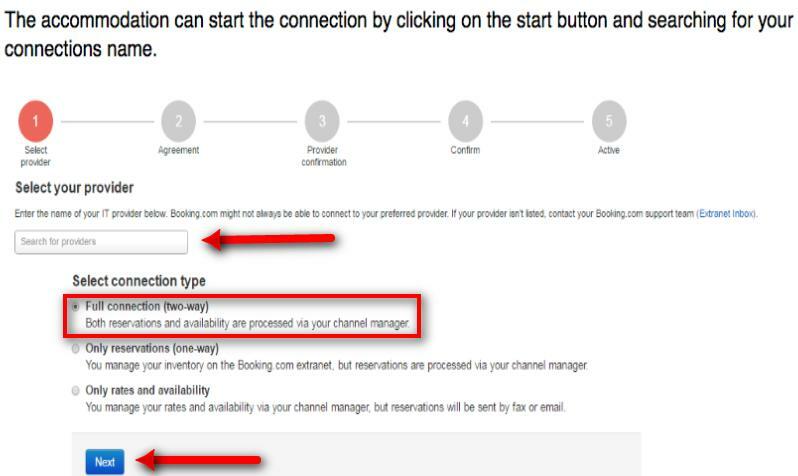 Only Rates and Availability - The Channel Manager will update the availability in real-time without importing reservations. TIP: Always select Full connection: Two way to have the complete management through the Channel Manager. After selecting the connection options, click Next. On the next screen, check the data entered and then accept the terms and conditions of access. You just got to step 3, the Provider Confirmation.